What is a GreenStreet Home Energy Audit? During a GreenStreet Home Energy Audit, our team will evaluate how your home or business consumes energy, pinpoint problem areas, and recommend actions that can be taken to decrease energy usage, increase comfort, and save you money. Using advanced tools and technology, we are able to make precise recommendations that will save you significant amounts of money. 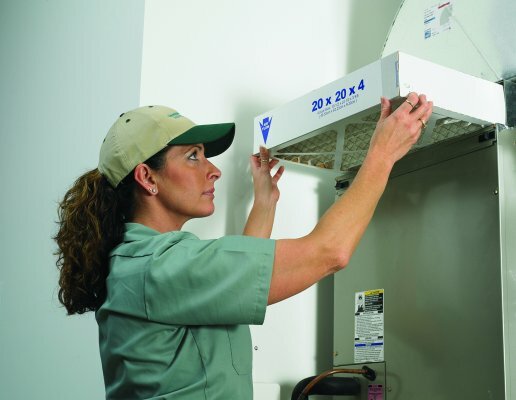 As part of the audit, GreenStreet will evaluate the efficiency of your heating and cooling systems. We will also analyze the various components of your home or business (attic, walls, basement, crawlspace, appliances, lighting, etc.) and assess their efficiency individually, as well as how well they work with other components to create a safe, comfortable, and efficient environment. How do I know if I need a home energy audit? Your utility bills are nearly as high as your mortgage payment. Your home feels drafty in certain areas and the windows are shut. If your furnace were a child, it would be in high school or college. The frost on your windows accentuates your Christmas decorations. You can read the sports section while waiting for the shower to warm up. Your home is confused. Too cool in the winter and too hot in the summer. Sure you clean, but it still feels excessively dusty, stuffy or has a mold-like odor. Spiders and snakes have made a home in your crawl space. The temperatures differ so drastically throughout your house that you have to dress in layers. Your heating and cooling systems would take the gold medal in the Olympic cross-country because they never stop running. Your family goes outside to get allergy relief. You can get a suntan while sitting in front of the window. How long will the actual audit take? 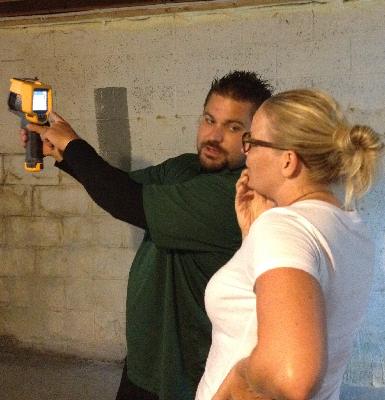 Our Energy Audit generally takes between two and four hours to complete. This will vary based on the size of the home or business, the number of heating and cooling systems, and the layout of the building. What do I need to do to prepare for the audit? GreenStreet auditors will need copies of your energy bills for the past 12 months, which you can request from your local gas and electric company. The information in your energy bills will allow our technicians to validate the software model of your building and analyze data trends to help you better understand and manage your energy usage. Do I need to be present during the audit? Yes — the energy audit is an interactive process. The auditors will need to access various areas of your home, and they will ask you to answer some energy-related questions. We look forward to sharing our tools, tips, and analyses with you along the way. Can I do an energy audit myself? There are a number of ways that a homeowner can perform an energy audit. You can find many tools online to help you complete a walk-through audit, which will provide you with some meaningful information. However, our employees are certified and highly trained to analyze your home’s existing energy usage, identify problem areas, and recommend a variety of different methods to optimize energy efficiency. 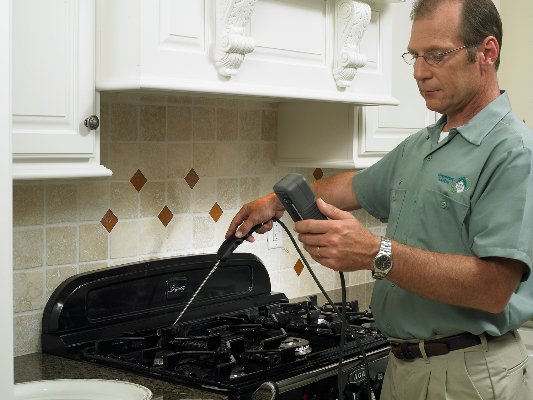 Our auditors use advanced diagnostic equipment to precisely measure and quantify the performance of you home or business. By helping you to save significant utility costs, a professional home energy audit will prove to be a valuable investment. The short answer to the question is yes, you can perform an energy audit yourself, but the resulting benefits of the audit will probably be less than those you would obtain from a professional audit. What can I expect after the audit? Your auditor will also schedule a return visit to review the findings of the audit, explain the recommendations, and review the expected long-term results of any improvements made. When and how will I receive my final report? Analysis of data and preparation of your report takes about one week. You will receive your personalized GreenStreet Audit report within 10 business days after the audit. Your auditor will make an appointment to come back to your home to review all findings, recommendations, and next steps. Will GreenStreet Auditors make the changes needed? Your auditor will serve as your personal energy expert every step of the way, from the time the audit begins through final testing of improvements made. Many recommended improvements are simple and low-cost, and can be easily completed by the homeowner or auditor. For more complex improvements, our specialized employees can perform a large majority of the work. 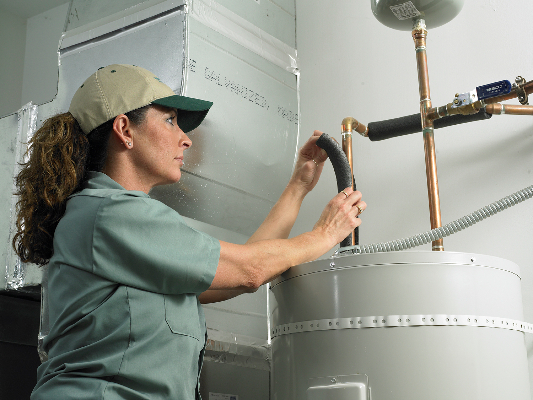 For recommendations that surpass our skills or licenses (like new furnaces or air conditioners), we rely on our network of reliable, reputable partners to ensure exceptional service and precision. Whether the work is performed by us or by our trusted partners, you will correspond directly with your auditor throughout the entire process. We do everything in our power to provide a seamless, efficient experience along with cost-effective value. Will a GreenStreet Audit save me money? The results of a GreenStreet Home Energy Audit will recommend actions you can take to increase comfort and save on energy costs. Improvements could range from simple things you can do yourself to more extensive changes that address major issues. By following your auditor’s recommendations, you’ll achieve drastic energy savings and maximize your family’s comfort and safety. Reducing home energy usage will save money, while improving your family’s comfort and safety is priceless. Although some information provided during the audit can in fact lower your utility bills, significant savings are typically realized through the implementation of the audit recommendations. Does GreenStreet implement the recommendations they make? Yes. Our recommendations are based solely on the data that we collect during the audit process. GreenStreet has established a staff of certified energy experts that can install any number of recommended measures. For measures that we do not install, like new heating or air conditioning systems or some electric or plumbing work, we have established a contractors network to assure we can deliver high quality installations on any of the recommendations we make. What incentives or benefits are available to me? This will depend upon where you live. Please see our tax and credit section for a list of available incentives in your area. Ohio Residential Incentives. Do I have to use GreenStreet to implement the recommendations? No. There is no requirement that a customer must use GreenStreet to perform the implementation services. Although there are significant benefits in doing so, the customer is free to engage any contractor, or perform the work themselves if they desire. What benefits do I receive if I do use GreenStreet to perform the implementation of the Audit recommendations? Our implementation processes and practices are designed to assure we deliver the benefits that were outlined in our discussions with you and in the Audit report. During installation, we are constantly monitoring our progress to assure that the results we expect are delivered. Once completed, we perform the appropriate tests that were originally performed during the audit to assure that the new conditions and work meet the standards we used to initially make the recommendation. This provides peace of mind in knowing that the recommendations will deliver the results we promised. After installation, you are provided a report that outlines the results of the different measures that were implemented.